Click the bitcoin logo below to view our receiving address. Use this address to make payments to Dexa Resources LLC. The two primary coins we currently accept are Bitcoin and Ripple. Click on the bitcoin logo above to view our bitcoin address. A Ripple address will be shared upon request. Other coins such as Litecoin, Primecoin and Ethereum are accepted upon request. Since we are promoters of open source code and integrate open source projects we highly support the use of crypto-currency and will accept payment for projects using several forms of crypto-currency. Visit Oanda for more currency conversions. 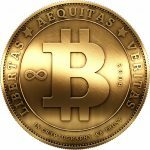 We have provided a quick bitcoin converter tool so you can monitor the value of bitcoins and understand how to pay using bitcoins. The value of bitcoin can change quickly so be sure to check frequently. If you do not understand crypto-currency feel free to give us a call and we will explain how it works. For new users before sending a large payment we recommend sending us a small test payment and then we can verify we received the payment before you send the total invoice amount. If you do not have any bitcoins yet, a great place to purchase bitcoins in $USD using a credit card is from IndaCoin. If you do not have a secure bitcoin wallet we recommend MultiBit HD for Windows. The process is quite simple. Add our receiving address above to your Bitcoin wallet contact list. Then its simple just enter the amount of Bitcoins/$USD you want to send, choose us as the bitcoin receiver and within a few minutes your invoice has been paid. The next time you want to send a payment you can just choose us from your contacts list. You can also visit our three step Bitcoin tutorial.